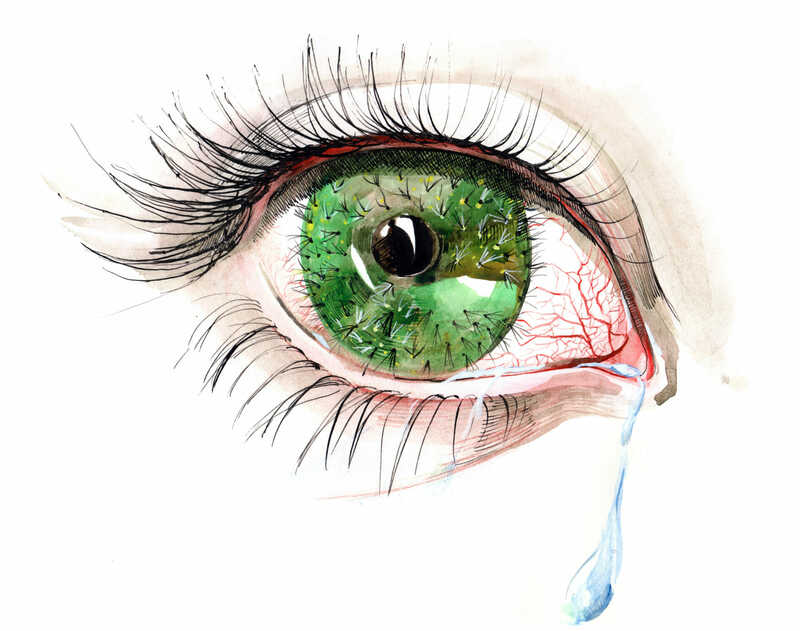 Typical dry eye symptoms are dryness, burning and a sandy-gritty eye irritation that gets worse as the day goes on. Symptoms may also be described as itchy, scratchy, stinging, or tired eyes. Other symptoms are pain, redness, a pulling sensation, and pressure behind the eye. There may be a feeling that something, such as a speck of dirt, is in the eye. The resultant damage to the eye surface increases discomfort and sensitivity to bright light. Both eyes are usually affected. TheraLife® Eye can help calm and correct dry eye symptoms, naturally.